We offer the best in Custom Vinyl Graphics and Signage. If you’re looking for high quality and personal service, you’ve come to the right place. 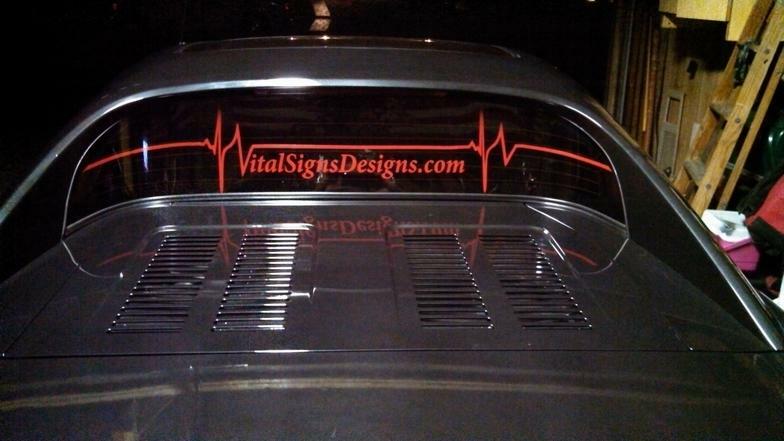 At Vital Signs Designs we will give you the attention and personal service that you will not get from the competition and a sense of loyalty you’ll come to expect and enjoy. We offer the best in custom vinyl graphics. Our rates are competitive, with no hidden fees. Vital Signs Designs has been located in Woodhaven since 2005 and are a family and Veteran owned company with a collective business experience of 15+ years. We proudly have fresh associates and bachelors degrees in Web Page Master and Graphic Design. Let us put that experience to work for you. ​If you have been lucky enough to have had work done by us or have seen any of our projects please take the time to sign our new guestbook and leave any testimonial. Graphics Make a Great Surprise Gift !